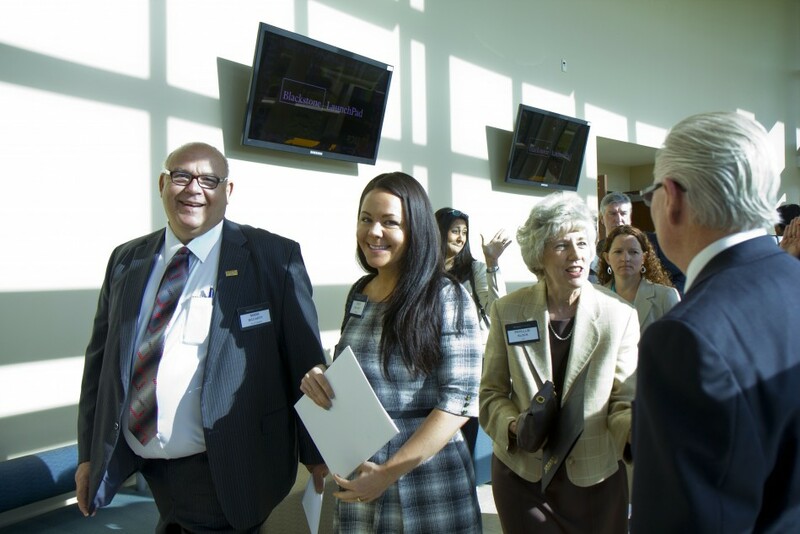 1Guests including UCF faculty, students, Blackstone staff, and board members file into the main room. 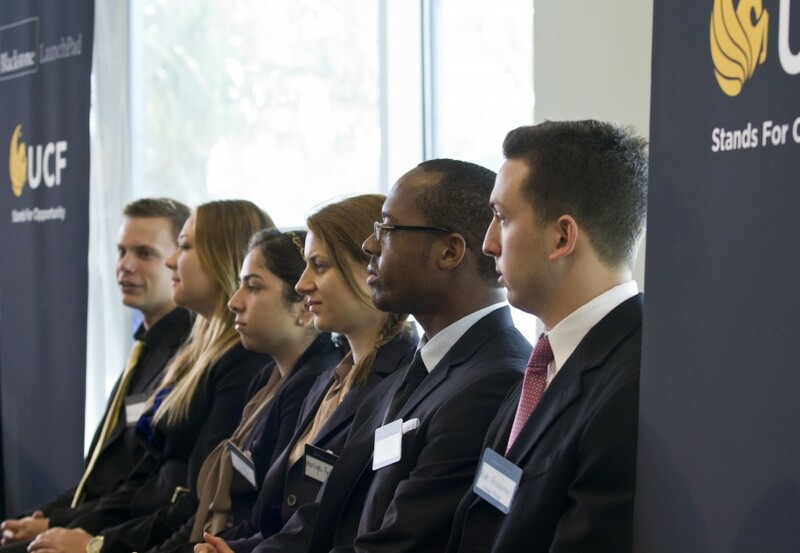 2UCF Student entrepreneurs are seated together, they will be given the opportunity to jump-start their businesses thanks to Blackstone Charitable Foundation. 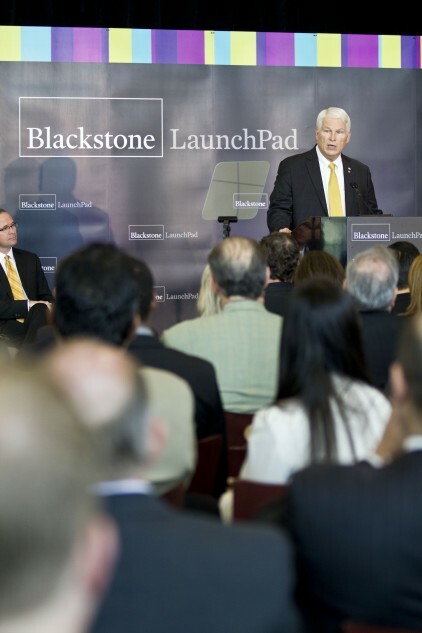 3Hitt is the first to speak at the Blackstone Launchpad. 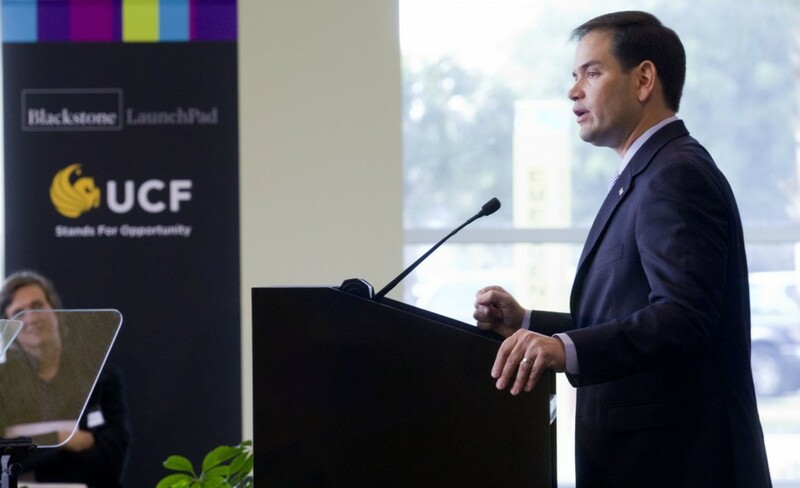 He discussed his excitement for UCF student entrepreneurs to have their ideas formed into businesses thanks to Blackstone's $1.4 million donation. 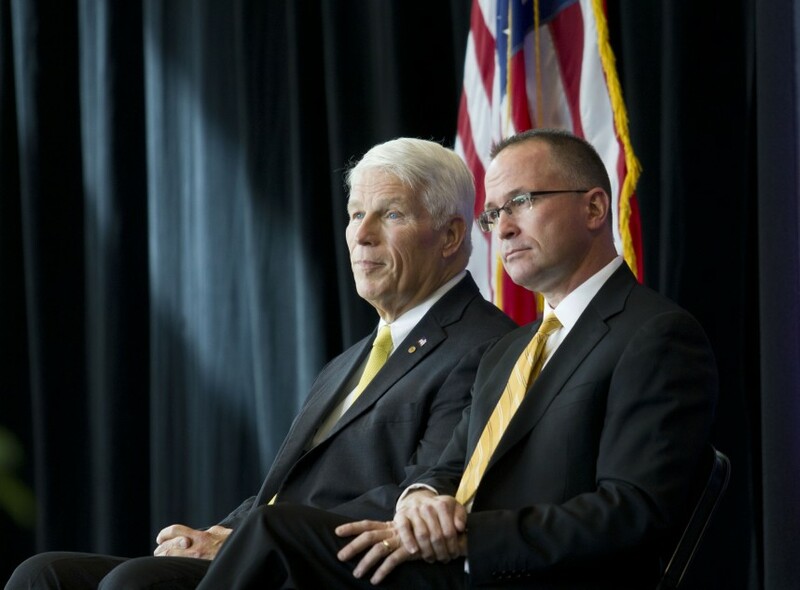 4Jim Atchison, CEO of Sea World and former UCF Alum & Blackstone investment success, sits next to Hitt. 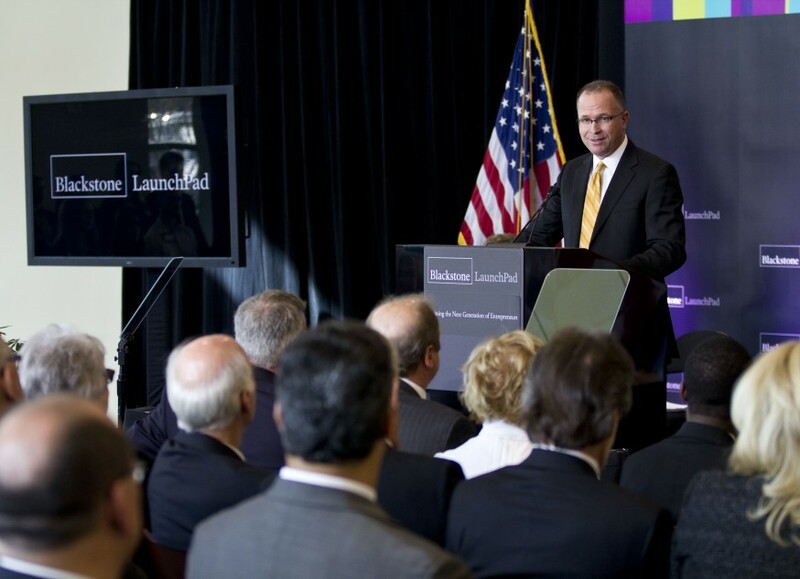 5Jim Atchison briefly gave his story and discussed how the Blackstone firm was a key part in his business success. 6U.S. Senator Marco Rubio takes to the podium. 7Sen. 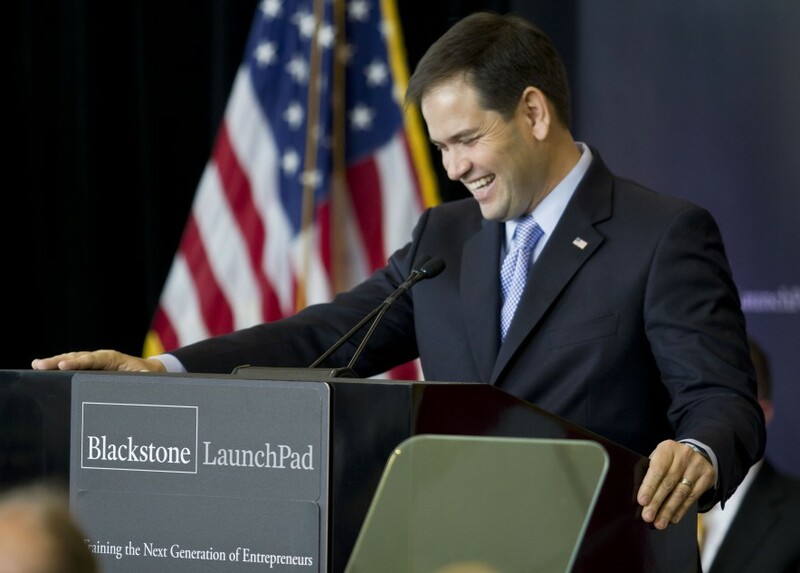 Rubio praised Blackstone LaunchPad’s goal of helping students develop important skills entrepreneurs must have to succeed. 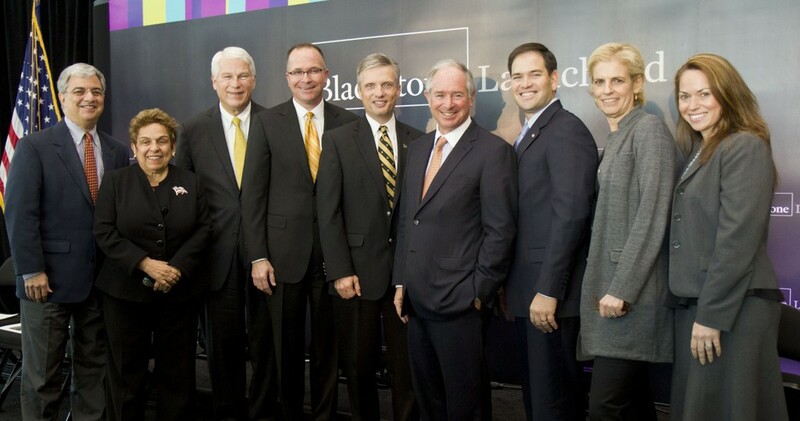 8All of our speakers from the Blackstone Launchpad, including President Hitt, Jim Atchinson, Stephen Schwarzman, chairman and CEO of Blackstone, Senator Marco Rubio, and UCF Board of Trustees members.